Ground Penetrating Radar Systems was requested on site at the AT&T office in Atlanta, GA. GPRS Project Managers. Jeff DeHart and Patrick Moulin, were asked to determine the location of the reinforcing steel, beams, and embedded utility lines within the concrete so that they would not be damaged during drilling to install new utility lines. GPR does not emit harmful radiation, produces virtually no noise, and will not disturb operating equipment, or other workers. It is a perfect tool for determine the presence of obstruction in concrete slabs prior to drilling, and our project managers were able to scan approximately 100 core drill locations in a single day. 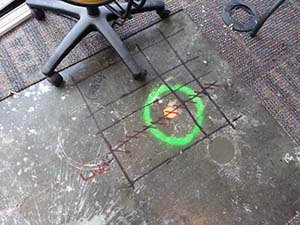 GPR is frequently used to scan concrete to determine the presence of embedded obstructions in concrete. It can be used on elevated slabs or on slab-on-grade concrete. 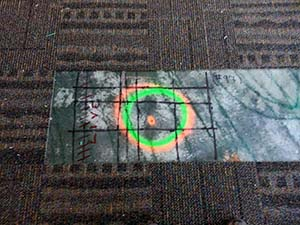 It can also be used for locating underground utilities and underground storage tanks, as well as for unmarked grave mapping and locating septic systems. Jeff DeHart and Patrick Moulin are the GPRS contacts based in Atlanta, GA and they can be reached at (404) 593-9227 (Jeff) and (770) 713-7697 (Patrick) or by email at jeff.dehart@gprsinc.com or patrick.moulin@gprsinc.com.